From Boru's latest state-of-the-art Irish wedding ring range comes a very understated, unique Irish ring. 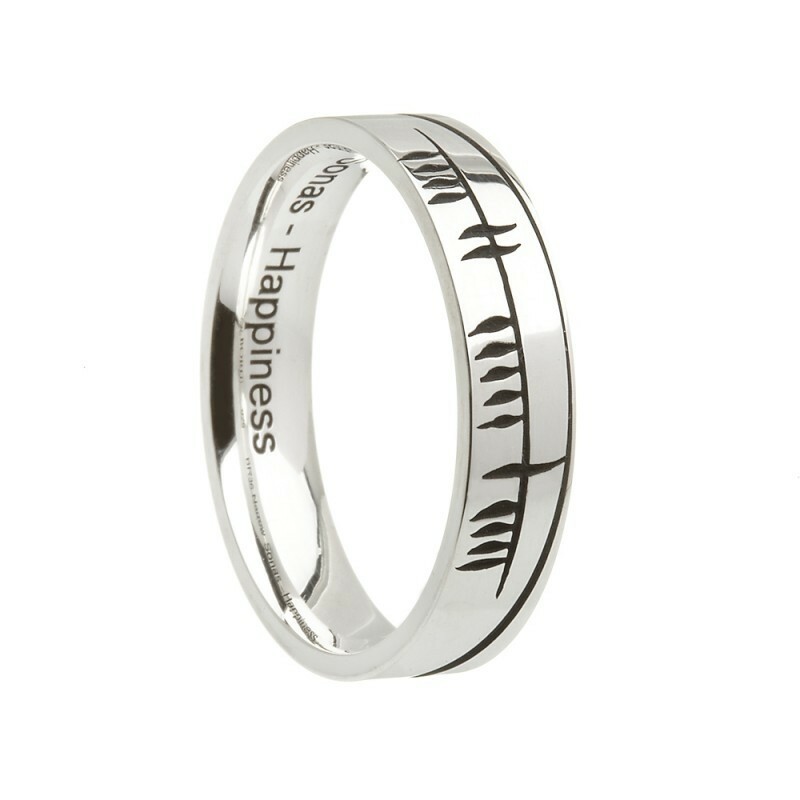 The deeply etched and oxidised Ogham alphabet on this Irish ring spells the word 'sonas', the Irish for happiness. A delightful, meaningful wedding, friendship or milestone gift ring. The Ogham alphabet is the earliest form of Irish writing. The characters consist of a series of lines and notches scored across a long stem. It was usually read from bottom to top. It is named after the warrior Ogma, God of Eloquence and Literature. There are over 350 Ogham stones still standing in Ireland. This is a unisex ring with a 'comfort fit' band meaning the inside of the band is domed for a more comfortable wear. It is available in two band widths. Width: 5 - 5.2mm / Thickness: 1.8mm approx.